Microsoft yesterday announced it would buy the business social network LinkedIn for a company acquisition record of $26.2 billion, a purchase triggered by Microsoft's appetite for algorithms, an analyst argued. "There are two components to LinkedIn that Microsoft wanted," said Jenny Sussin, a Gartner research director, in an interview. "One is the data component, the other is the algorithm component." An algorithm is a set of operations that tells a computer what calculations to run on what data, then how to process that data to generate a result. Algorithms are the "secret sauce" of many technology firms, the fiercely-guarded crown jewels on which a company's fortunes rest. Google's page-ranking algorithms, for example, are as secret as the recipe for Coca-Cola, and just as critical to Google's ability to generate relevant search results as the sugar water formula is to Coke's bottom line. The complex algorithms LinkedIn uses to, well, link people in networks, as well as to provide pertinent content for each individual, were, to Microsoft, the most valuable half of the deal, Sussin said. "There were two algorithms [Microsoft] wanted," she asserted. "No. 1 was the algorithm that creates the connection graph, the social networking graph. No. 2 was the algorithm that determines the information most valuable and most actionable to you." If Microsoft can integrate those technologies into its existing products -- Yammer, for one, a $1.2 billion acquisition, and its Office 365 suite as well -- and thus transfer LinkedIn's now-public relevance to companies' internal networks, it could justify the new investment. "If your company can help surface the information most important to your job, that could increase productivity," said Sussin. She didn't discount the value of the data LinkedIn has collected on its 430 million users. "Customer and employee records [maintained by a company] are largely seen as having dated information which is no longer useful for organizations' ability to maintain customer, employee or prospect relationships," Sussin said in an email reply to follow-up questions. "LinkedIn data has thusly become incredibly valuable to many business-to-business sales and HR organizations today." More importantly, that data wasn't for sale: LinkedIn, not surprisingly, held it very close. "That's the reason why this is such an interesting data play," Sussin said. "LinkedIn refused access. Google, for example, couldn't have access to it [for ad sales]." Owning LinkedIn, however, lets Microsoft offer that data set to customers running Dynamics, its customer relationship management (CRM) software, or target in-product advertising. And by combining what it knows about its customers with what LinkedIn knows about its users, Microsoft could spin out new products or services, like the "economic graph" that LinkedIn has worked on, and talked about, for years. Yesterday, during a call with reporters and analysts, LinkedIn CEO Jeff Weiner -- who will remain in charge of the company after the deal closes -- described the economic graph as a " profile ... for every one of the three billion members of the global workforce," along with profiles of every company, and representations of the jobs each hoped to fill. With that in place, and Microsoft's data on its 1.2 billion Office users, Microsoft could tout a service that shows companies what positions would be of most value to the firm, what skills are needed and who has those skills. Such a service, Sussin said, would be ideal for seeding startups with the right mix of employees. One reason why Sussin ranked LinkedIn's data behind its algorithms was because she saw pitfalls if Microsoft misused that data or commingled it improperly with its own. "If LinkedIn users feel that their data is being misused, if it pops up within Office, for example, they may stop contributing to the [LinkedIn] network," Sussin said. That would add to a problem LinkedIn already faces -- only about a quarter of the social network's user base visits the site monthly -- decimate LinkedIn, and quickly lower its value to Microsoft. 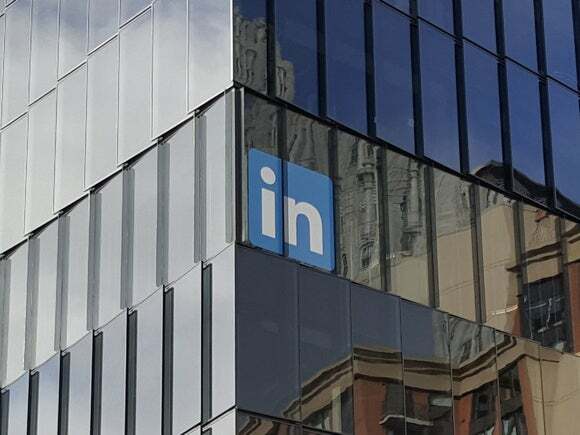 "I'm concerned that the misuse of LinkedIn customer data by a large provider like Microsoft will actually be detrimental to LinkedIn's ability to stand up as a consumer-driven network," said Sussin. "Microsoft has to be so careful on how it uses the LinkedIn data, or [the value] could just self-explode." In fact, when asked how she would advise Microsoft if asked, Sussin immediately suggested starting with the algorithms, not by diving into the data mine. "I think they could more heavily leverage the algorithms than the data" without much risk, she said. On Monday, Microsoft said it would shoot for closing the LinkedIn deal by the end of this year. It will require regulatory approval in the U.S., the European Union and Canada before the transaction is wrapped up.